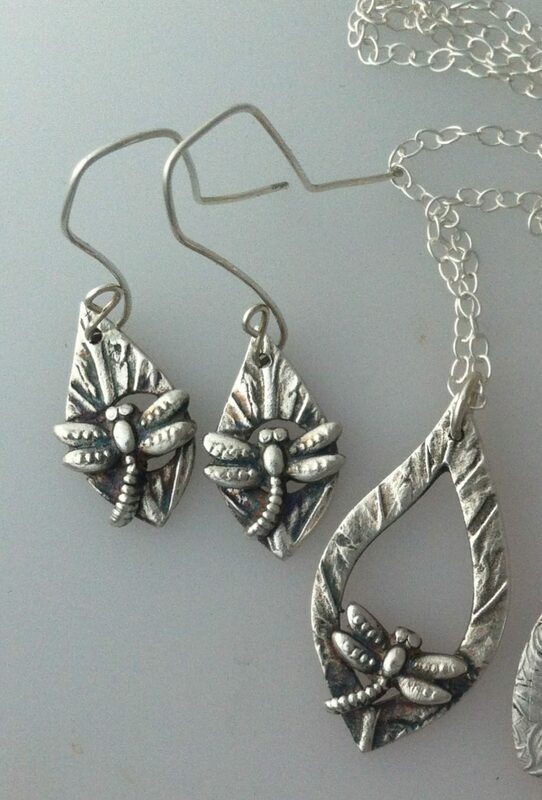 The one day Introduction to silver clay workshop will give you a taster of what can be achieved with the clay. 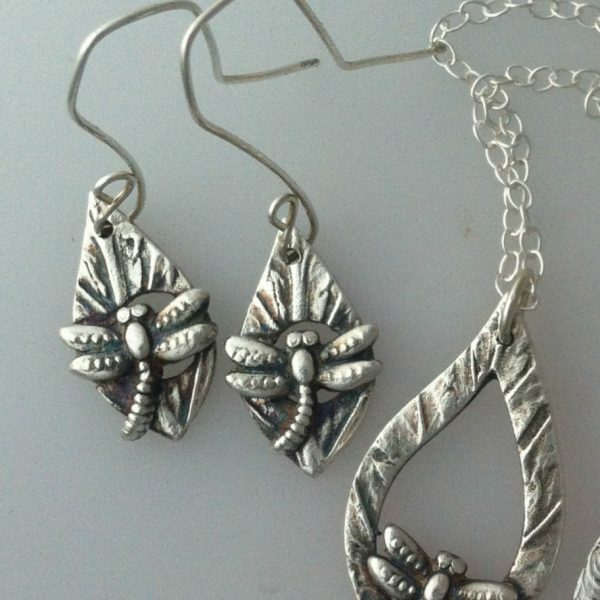 You will learn everything you need to know about starting to work with the clay, and take away at least 2 pieces of wearable jewellery hand made by you in solid silver. A sterling silver chain and a pair of sterling silver ear wires are included so you can wear your jewellery as you walk out of the workshop if you want to! 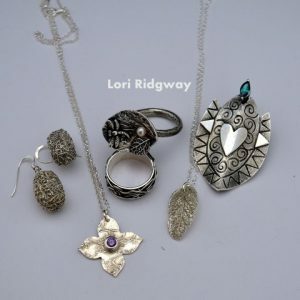 During this half day Silver clay workshop, you will learn how to handle the clay, including how to store it and reconstitute it if necessary. You will learn how to roll out the clay and texture, cut and prepare it so that your finished piece is of the highest quality possible. We will work through the whole process from beginning to end so no experience is necessary. 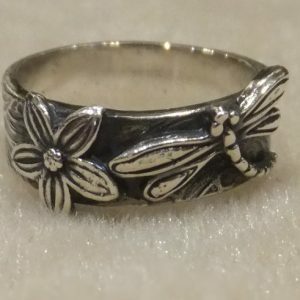 I have some guidelines to help you with your first piece, but there is plenty of room for you to design something unique to you if you want to. I have plenty of cutters and textures available on the day, but if you have a very specific requirement, please contact me and we can discuss it. Once your piece is finished, we will fire it and once firing is complete I will show you how to bring up the shine on your piece, and if you want to, add some antiquing colour. 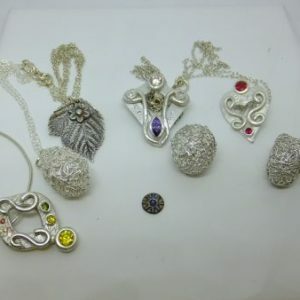 The price includes all the materials you will need to make the basics of the course, including 7g of clay, a sterling silver chain and a pair of sterling silver ear wires, plus tea and cake.